For active people, getting injured is the worst. It means you get sidelined out of your favorite activities and all the progress you made toward your fitness goals may suddenly go right out the window. You may feel discouraged and defeated, and dread having to start again. The hardest thing is the waiting, so you look for a quick fix. 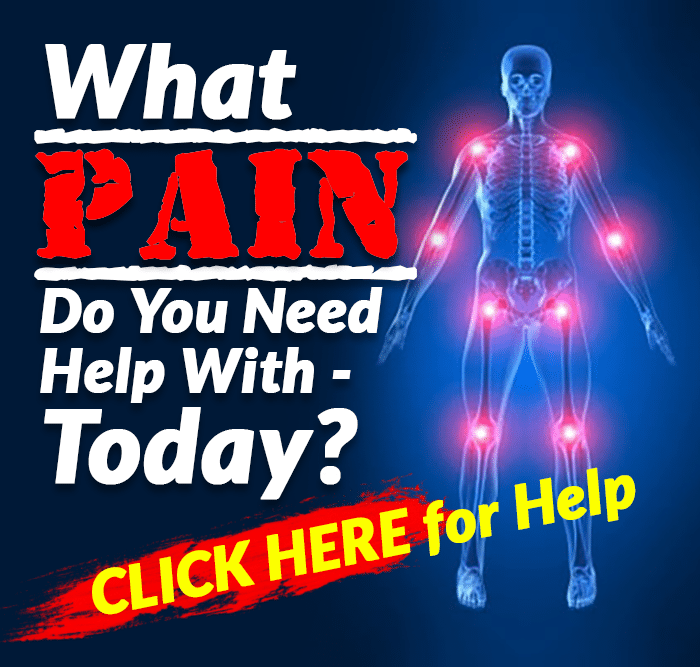 You head out to your physical therapist, massage therapist and chiropractor. Help! You need to get active again and sooner rather than later. “Patch me up, doc,” you say. “I can’t reach my goals sitting on the sidelines!” This is a mistake and could lead to even further injury. We all know how hard it is to take the proper steps for true healing and recovery. 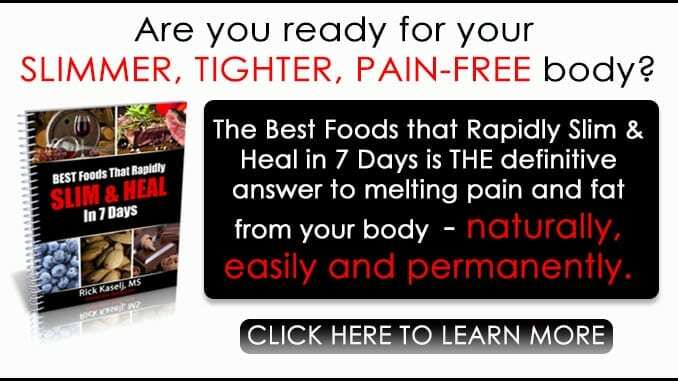 However, the truth is, if you tackle the challenges of recovery in the right way, you can improve your fitness savvy and prepare yourself for a stronger future. The problem with the quick fix is that it sets you up for future failure. If you don’t treat your injury as an opportunity to learn, you’re likely to repeat past habits and increase your risk of suffering another injury down the road. That doesn’t mean that the injury was your fault necessarily but, if you take responsibility for it, you can empower yourself to find ways to improve your technique, approach and mindset. You can become a smarter, more experienced athlete and that, more than anything, can help you enjoy a lifelong exercise program with minimal downtime. The most important thing is to come at your recovery with a positive attitude. That’s likely to be difficult at first, so give yourself a couple of days to get over the initial shock and disappointment. It may help to talk to a good friend about how you feel or even to journal about those feelings, so you have a way to express them and get them out of your system. Stewing over your negative emotions is the worst thing you can do as not only will it keep you feeling bad, but it can also delay your healing. Positive emotions, on the other hand, help you bounce back more quickly. In a 2004 study, for example, researchers found that participants who used positive emotions recovered better from stressful situations. These individuals didn’t merely put on a brave face and pretend, however. They acknowledged their negative emotions and then used unique coping strategies to infuse more positive thinking into their daily lives. These strategies included reappraising the situation in a positive light, focusing energy on problem-solving and finding meaning in ordinary events. By putting their efforts into these techniques, the participants were able to recover faster and more thoroughly. You can do the same thing when facing an injury. Use this time to benefit yourself and your fitness program. Decide right now that this injury will be your excuse to get smarter about what you’re doing and how you’re doing it. Staying active is something you want to continue to do for the rest of your life, right? That means you need to learn how to do it in a way that doesn’t put your body at risk. An injury provides you with the perfect opportunity to step back and look at what you’ve been doing and how you’ve been doing it, so you can put into place changes that will protect you in the future. It’s a good thing and, if you look at it that way, you improve your chances of recovering more quickly and enjoying some extra benefits along the way. It’s common to be in denial about your injury at first. It’s not that bad, you tell yourself. You’ll be back at it in a day or two. You may even go so far as to test it a few times. That’s a mistake because, if you keep going, you’re only going to make the injury worse. You know that, but it’s tough to resist. Become more aware. Understand that you’re going to want to get back into it as soon as possible, which could increase your risk of doing something stupid. Take the smart step instead. Face the facts — things have changed. Your lifestyle is going to have to adapt to accommodate that. Those goals you had may have to be put on hold for a little while. Try to let go of what your expectations were before and create new ones. You may think that just any doctor will do, but if you talk to athletes who have gone through a few injuries in their time, you’ll discover that they recommend finding a health care professional that knows your sport. Of course, you want someone with the right credentials and lots of experience, but experience in your particular area of fitness can be beneficial when it comes to recovering quickly — and to the next step, which is figuring out what went wrong. A doctor who’s worked with athletes in your sport will have a better understanding of how your injury could affect you in the future too as far as your ability to continue to excel in the activities you enjoy. If you hurt your shoulder playing football, for instance, and you go to a doctor familiar with the sport, he or she is more likely to help tailor your treatment to helping you get that throwing arm back. This individual will also help you be more realistic about how long it will take to recover so that you don’t rush it and end up hurting yourself again. In the end, an “insider” can make a big difference in whether or not you get back to the sports you like best. 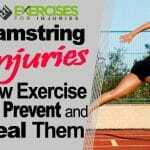 This is key to preventing this injury or even other injuries from happening again. How did you get injured? 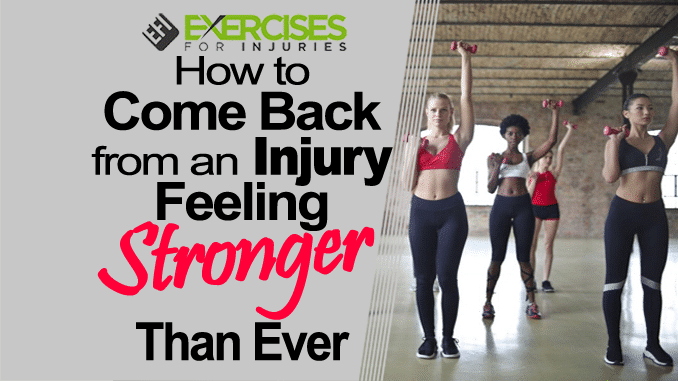 If you can discover the answer to that question, not only will your doctor be able to plan a rehabilitation routine that will speed your recovery but you’ll also be able to change your approach to increase your odds of preventing the injury in the future. The thing is, your injury happened for some reason. Yes, it may seem like an accident, but something caused that accident. Many things could have been under your control. Were you training too hard? Overworking some muscles and underworking others? Was your form off? Were you focusing too much on one activity and failing to cross-train? Was your equipment faulty? Did you fail to warm up properly? Finding the answer to these questions gives you more material to work with when you go back to training, and provides you with answers as to how you can improve your approach. Even better — if you can figure out why the injury occurred, you can empower yourself to go after your recovery with more enthusiasm. Learning the “why” of an injury give you an opening to change things next time, which can be very motivating. Too many times, we wait for health care professionals to guide our healing. That’s fine up to a certain point as you do need to follow your doctor’s advice, but you also need to focus on what you can do on your own to improve the situation. Besides finding out what happened and changing your approach, you need to get active when it comes to your recovery. Rather than sit back and wait for your health care team to solve the problem, get nerdy about your own recovery program. This isn’t just about resting and sitting back and waiting for your body to get better. Yes, there is a time component to this, and you will need to rest for a few days, but then you need to get moving again. Discard the identity of “injured athlete.” Forget sitting around waiting to heal. Indeed, too much rest can work against you. In fact, scientific research shows that if you wait too long to move, particularly with muscle injuries, you can amplify the pain you experience when you do move. Doctors can help, but your recovery is in your hands. Become invested in the process. 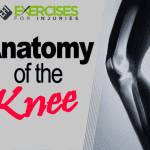 Learn more about the body and how it works, and what exercises you can do even with your injury that can help speed recovery. You already know how to focus and how to be disciplined — you demonstrated those characteristics in your fitness program. Now, you need to apply them to your recovery. Go to your physical therapy sessions if you have them, and then perform your given exercises at home. True, they’re usually not exciting, but the more diligent you are about doing them, the faster you’ll heal. It may also help you to find other activities you can do while your injury is healing — things that get you moving but that don’t tax your injured area. Get creative and look into other exercises. You may find something that you end up enjoying. When you do start doing your exercises, you’re likely to experience some frustration. They may remind you of what you can’t do because of the injury. You may become focused on what you’re missing, which can slow your healing. It can also be difficult if your friends are out exercising or playing and you can’t go with them. This is the mentally challenging part of your recovery. Regularly talk out or journal about those discouraging emotions so you can process them and get them out of your system and continue to focus on your therapeutic exercises and other forms of exercise that you can do. Ask your friends to take part in these activities with you or join a class and make some new friends. If you can modify the exercise you enjoy — swimming, for example — in a way that allows you to still get together with your friends, you could try that. Just be sure you aren’t tempted to overuse your injured area. 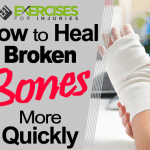 Don’t forget to use this time to continue to learn about how you can avoid repeating the same injury twice. Focus on your own education, and you’ll come back smarter and stronger than you ever were before. If you put the time and effort into it, there’s no way you can fail!